André’s responsibilities will include the entire hotel, overseeing banqueting events, room service, afternoon tea, breakfast, Spa and Garden Lounge, and all bar food menus, as well as The Northall restaurant. André has been Executive Chef for the past five years at Cliveden House in Taplow, Berkshire. 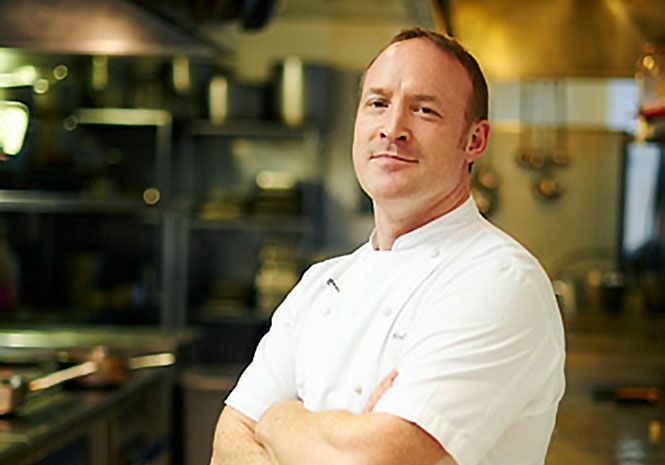 Previously he worked in London with the Michelin-starred Galvin brothers, at both Galvin at Windows atop the Hilton on Park Lane, and prior to that at Orrery in Marylebone. Renowned for his elegant, modern cuisine, André is on the board of the Academy of Culinary Arts for their annual awards of excellence and the MCA, as well as a panel judge of the Roux Scholarship. In 2017 he was awarded ‘Hotel Chef of the Year’ in the Hotel Cateys. Corinthia Hotel London’s restaurant and bar outlets have seen an exciting new direction most recently with the opening of Kerridge’s Bar & Grill, and the relaunch of its cocktail bar, Bassoon, in partnership with Sager + Wilde. The hotel’s afternoon tea in the Crystal Moon Lounge has also enjoyed a complete makeover to celebrate the ceremony of a traditional English tea service. Under the helm and expert guidance of André Garrett, The Northall restaurant will take a new culinary direction with a menu incorporating a broad fish and seafood selection influenced by the Mediterranean. Further details of the restaurant and its new menu will be released in the New Year.